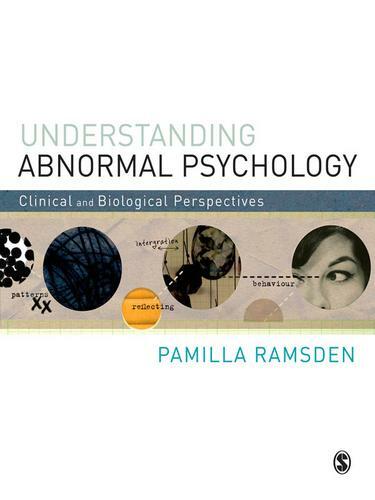 Understanding Abnormal Psychology provides a thorough understanding of abnormal psychology with a focus on the integration of psychology, biology and health. It goes beyond a descriptive overview of clinical disorders to provide a critical appreciation of the multifaceted aspects of mental illness. Each disorder is clearly and succinctly explained with the support of case studies. These examples are then used to introduce the debates surrounding current research, the biology of abnormal disorders and standards of treatment. The bridge between the biological elements of brain functioning and the psychological mechanisms that are responsible for coping and adjustment is thoroughly explored. This valuable consideration of the range of elements involved in the diagnosis and treatment of clinical disorders will provide you with a broad and critical understanding of this complex and fascinating field. Visit the companion website at www.sagepub.co.uk/ramsden with a number of useful features for students, including a flipcard glossary of key terms from the textbook and a test bank of interactive self-assessment multiple-choice questions.